Middle School religion teacher Mirza Khan demonstrates how iPads were used creatively to produce content -- the "story of the Universe." Students took pictures with Camera, altered them with Pixlr-o-matic, put them together on a page with captions using ComicBook!, and Mr. Khan compiled the pages and added audio with Book Creator for iPad. “The story of the Universe has been told in many ways by the peoples of Earth, from the earliest periods of Paleolithic development and the Neolithic village communities to the classical civilizations that have emerged in the past five thousand years. In all these various circumstances the story of the Universe has given meaning to life and to existence itself. In the sun-drenched garden my sixth grade Religious Studies class has been reading, writing and discussing the first chapter of the Book of Genesis. There we sit among rows of vegetables and flowers, clucking chickens and buzzing bees, studying the mythological beginnings of creation and our place therein. Each student considered one of the symbolic days of creation. 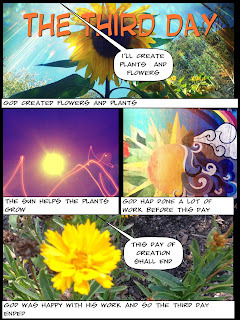 Each took pictures and created a comic book page. 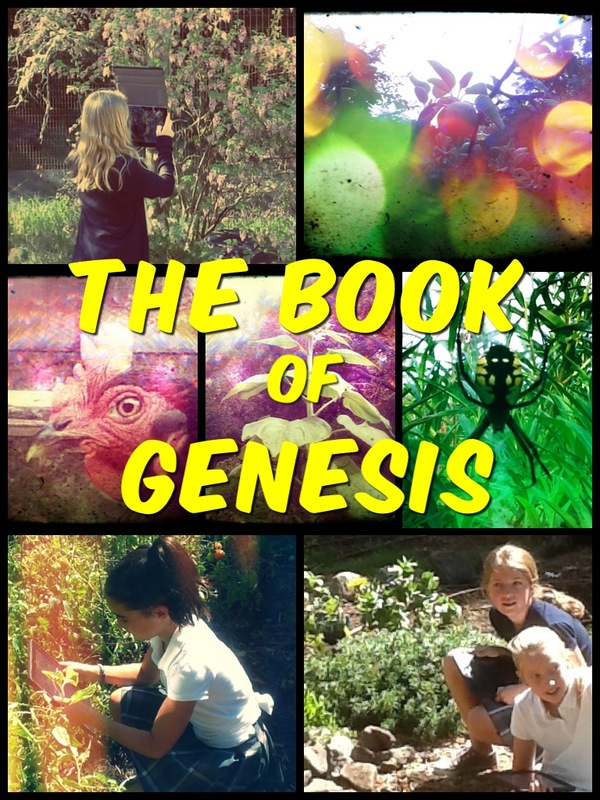 I have gathered some of them together into a digital comic Book of Genesis – the latest retelling of the oldest story of all time, the story of the Universe. Download this eBook to your iPad!